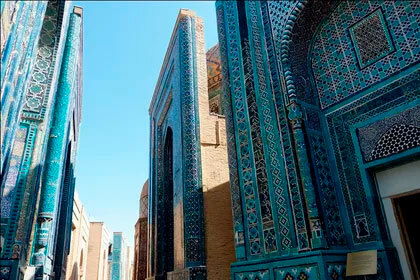 Visit the historical cities of Bukhara, Samarkand and Tashkent and imagine as if you are in a fairy tale. 12:50 Arrival in Tashkent by flight KC-127 or by high-speed train Talgo. Meeting at the airport (railway station), transfer to the hotel. 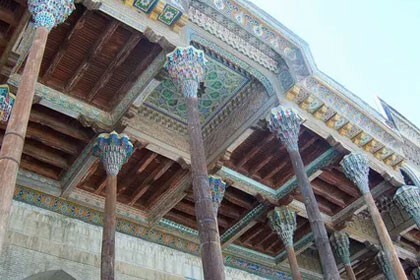 Excursion to the sights of Tashkent. Visiting the complex "Hasti Imom". After lunch transfer to the airport and flight to Bukhara. Upon arrival, a meeting and transfer to the hotel. Free time. 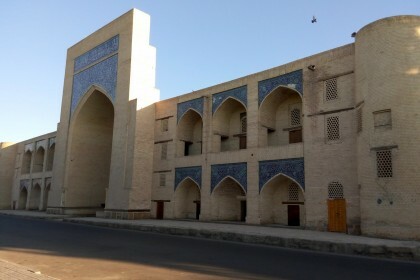 Walking through Bukhara. 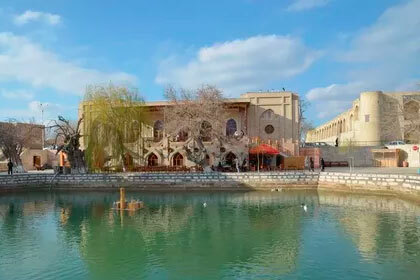 Excursion around Bukhara: Fortress "Ark" - in the Middle Ages it was a whole city with the emir's palace, mint, mosques, government institutions, warehouses, shops, a prison and a square for public gatherings. 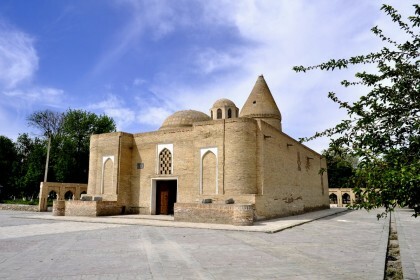 Samanid mausoleum (IX-X centuries) - first building in Central Asia, built of burnt brick in the form of a cube, with a covered dome and a unique geometric design of the masonry - a masterpiece of world architecture. 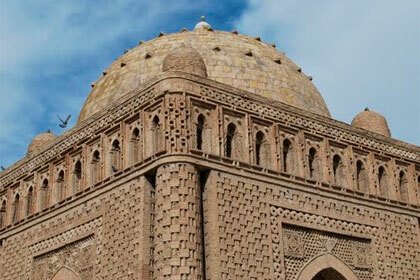 Mausoleum of Chashma Ayub refers to the revered "places of the trail" left by sacred persons. According to legend, here is where a well ("chashma") appeared from the blow of the staff of the biblical prophet Job (Ayub). Bolo-Hauz Mosque (XVIII century) is a well-known and revered mosque near the artificial pond. 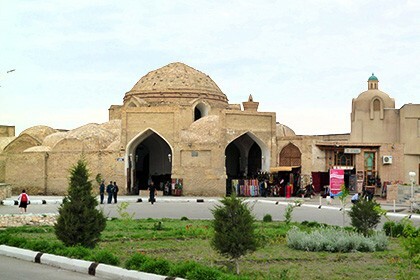 Bazaars "Domes" - consist of three shopping centers: Toki Zargaron (1570) - a bazaar of jewelers, Toki Telpak Furushon - a skullcap market, Toki Sarrafon - a market of monetary exchange. Ensemble Lyabi Khauz (XIV-XVII centuries.) - is considered one of the most popular tourist destinations ("shore of the pool"). 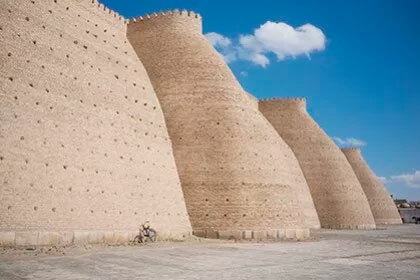 This is the largest artificial reservoir of medieval Bukhara. It was dug around 1620 between khanaka and madrasah, built by the order of the Khan's vizier Nadir Divan-begi. Madrasah "Kukeldash" - XVI century and "Nodir Divanbegi". 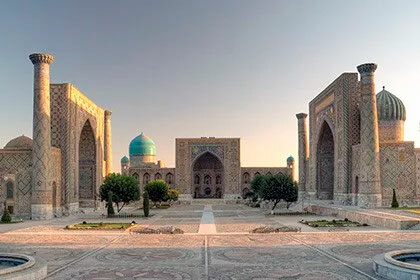 Departure to Samarkand (268 km). 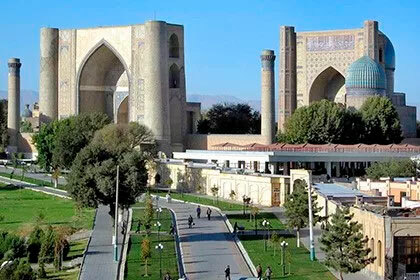 Upon arrival at Samarkand, hotel accommodation and free time. 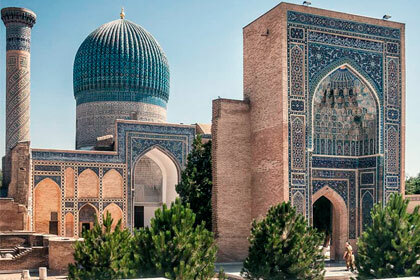 Lunch, after lunch - excursion to the sights of Samarkand. 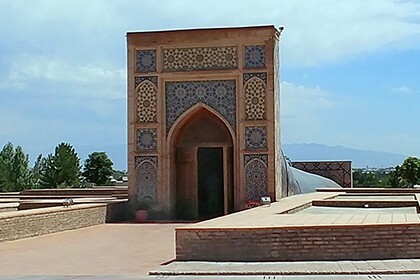 Mausoleum "Shahi Zinda" - XI century. 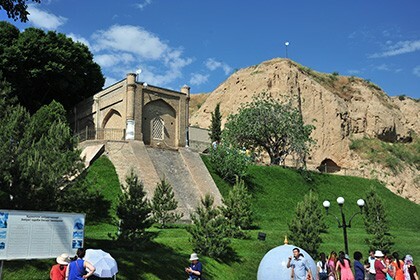 Excursion continious with visiting Ulugbek's Observatory and Memorial Museum - On the hill of Kukhak, at the behest of Ulugbek in 1428-1429 the majestic building of the observatory was erected, at that time there was no equally great observatory in the world. 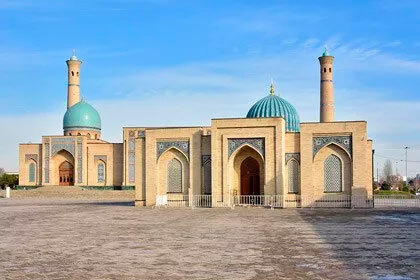 Bibi-Khanym Mosque (another name - the Friday mosque of Samarkand). 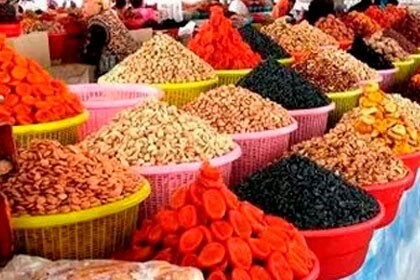 Siab Bazaar is a modern traditional "eastern" market in Samarkand. Nevertheless, it carried through its appearance through the centuries. It urprises tourists with its colorfulness and variety of products and goods offered here. 17:00 departure to Tashkent by train Afrosiyob. On arrival - transfer to the hotel. 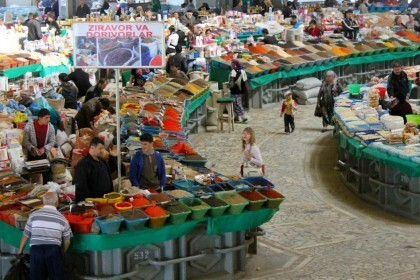 Visiting the central bazaar "Chorsu". 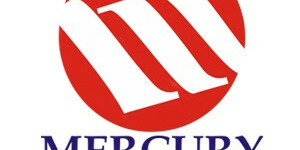 11:00 transfer to the airport or railway station, departure to Almaty.